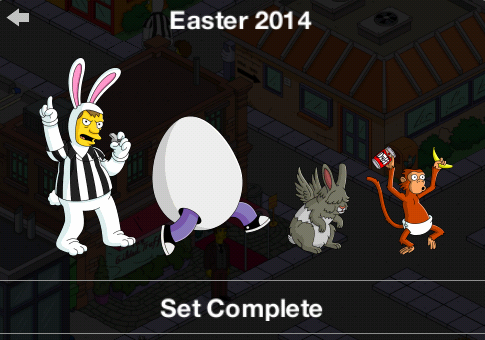 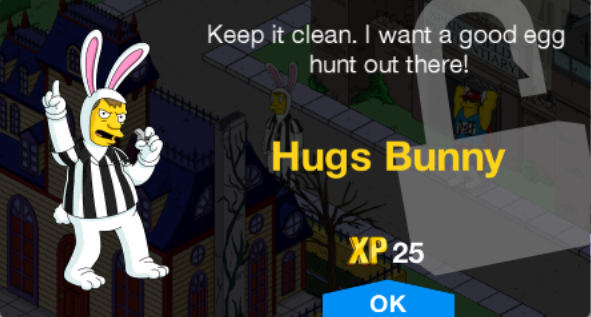 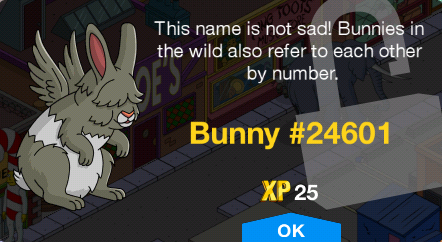 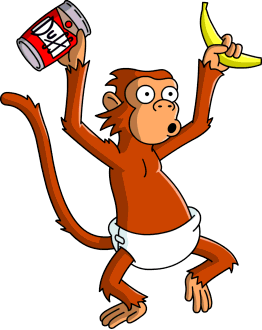 Easter 2014 is a character collection in The Simpsons: Tapped Out. 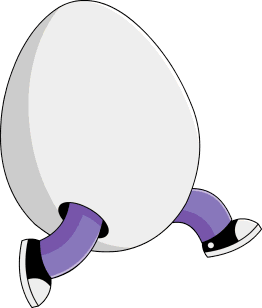 It consists of several characters released in the Easter 2014. 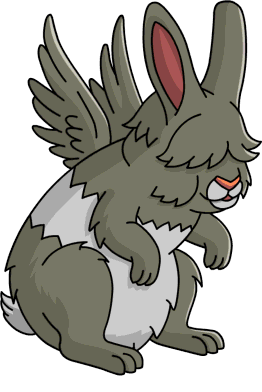 Sits up then starts to fly when tapped. 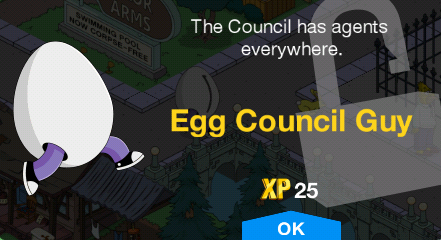 Modified on December 5, 2018, at 12:44.